Paleohacks Cookbook Review (2019) - Helps You Stick to the Diet? Paleohacks Cookbook Review – Helps You Stick to the Diet? Over the past twenty years, there have been a ton of “fad” diets. Most of them catch on for a while and then fizzle out. Remember when the whole world was crazy about the Atkins diet? You don’t hear much about that one anymore. One of the more interesting diets to become popular in recent years is the so-called “Paleo” diet. People like it, but have trouble sticking to it, because they get vored. Paleohacks Cookbook is a book that says they can fix that with nearly 100 tasty, easy-to-prepare recipes. That sounded promising, so I thought I’d take a closer look and see what the fuss is all about. Is Paleohacks Cookbook a scam? Click here to visit the Paleohacks Cookbook Website. Read on for the full Paleohacks Cookbook review. The most important of the bonus books is the Paleohacks 30 Day Jumpstart Guide. This 19 page Paleohacks Cookbook bonus book has the basics of the Paleo diet, which is one where participants revert to the diet that man is thought to have had tens of thousands of years ago. This diet includes no processed foods, no grains, no sugar or other sweeteners, no alcohol, no legumes and no potatoes. By avoiding processed foods and carbohydrates, people who have used the Paleo diet for some time swear by it, claiming that it leaves them leaner and more fit than they were before. 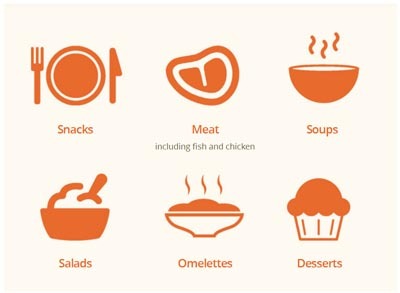 The Quick Start guide outlines what is acceptable and what isn’t in the Paleo diet. In addition, the 6 page Paleo Food Guide offers a listing of which foods are and which foods are not acceptable in the Paleo diet. Eating Paleo at Restaurants is a short but informative guide to helping you stick to your Paleo diet when eating out. The One Month Paleo Meal Plan includes a suggested guide for how you might eat for each meal during a 30 day cycle. The Paleo 4X Cookbook and the Paleohacks Cookbook go hand in hand. The 4X book is a short, 40 page cookbook that’s ideal for people who want to go Paleo but aren’t experienced cooks or who don’t have a lot of time. This clever cookbook features only recipes that require four or fewer ingredients. The book, while short, includes salads & sides, meat & chicken, seafood and eggs. The reason that I call the Paleohacks Cookbook a “suite” of products rather than a book and some bonuses is that the six books that you receive all work together as a whole. Most “bonuses” are junk and they’re frequently unrelated in any way to the product with which they’re bundled. That’s not the case with the Paleohacks Cookbook, as you’ll read and use all of them in the course of planning your new diet and sticking to it. Sticking to it is the main problem with many people who try to go Paleo. They simply find the diet limiting and for them, eating a chicken breast with a side of green beans every day gets old. That’s where the Paleohacks Cookbook can help. This 153 page PDF book includes sections for snacks, salads, soups, meats, seafoods, desserts, and more. It’s also where the “suite” thing comes into play. The Paleohacks Cookbook is a cookbook, and nothing more. You’ll learn nothing about the Paleo diet in general; that’s in the bonus books. The Paleohacks Cookbook is simply a book that’s chock-full of tasty, easy to prepare recipes. There are nearly 100 in all, and you’ll find that the instructions for such things as Sweet Potato Curry Soup, Lemon & Chili White Fish, or Coconut Citrus Cake use common ingredients that you’re likely to have in your home and won’t take a lot of time to prepare. Many of the recipes in the Paleohacks Cookbook require only a few sentences to explain. The book includes a handy section in the front that includes standard measurements, so you can prepare the recipes if you use metric or standard weights, measures and temperatures. It’s hard to find any complaints about the Paleohacks Cookbook, given the price. As I write this, the complete package is being heavily discounted, meaning that it’s likely to be affordable for just about anyone. If you’re curious about the Paleo diet in general, the Paleohacks Cookbook is a great way to get a peek at some tasty recipes that support that diet plan without having to spend a lot of money. Admittedly, the Paleo diet isn’t going to suit everyone. Some people just aren’t willing to give up some of the luxuries of the modern diet, and if you like potatoes, wine, or lots of sweets, this might not be the diet for you. On the other hand, many people say they have successfully lost a lot of weight by eliminating processed foods, complex carbs, and unnecessary sugar from their diet. Is the Paleohacks Cookbook a scam? No, it’s a well-written cookbook that, combined with the bonus books, offers a comprehensive plan for trying the Paleo diet. It offers a list of acceptable foods, a suggested 30 day diet plan, and more than 100 recipes that seem to be tasty and easy to prepare. 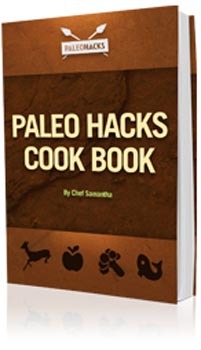 The Paleohacks Cookbook is also available at an affordable price. If you’re been tempted to go Paleo, at least to see what it’s like, you might want to give the Paleohacks Cookbook a look. Fat Burning Soup Recipes Review - Lose Weight With Soup? Red Smoothie Detox Factor Review - 15 Pounds in 14 Days? My Bikini Belly Review - Flat and Firm in 3 Weeks?